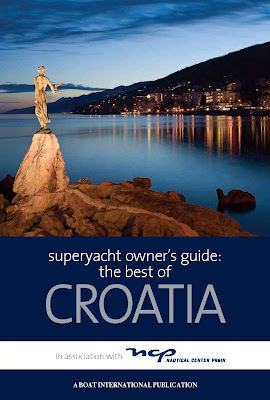 Regular readers will recall that Croatia Online's Editor had the privilege of writing a superyacht owners' guide to the best of Croatia, for Boat International, a couple of months ago - see Croatia Online - Superyacht Owners' Guide for more details. One of the sections of the book was UNESCO in Croatia, which touched on the huge and notable array of natural and cultural heritage deemed of world importance. In the "UNESCO in Croatia" section we reported on two examples of the 16 items on UNESCO's tentative list for Croatia, and are pleased to report that one of them, the Stari Grad plain, was amongst 27 new sites inscribed onto the World Heritage list on 8th July 2008. Follow this link to see what makes it so special to UNESCO - Unesco - Stari Grad Plain. Below are the relevant highlights of the text in Boat International's guide. UNESCO takes a special interest in Croatia too, with 6 World Heritage Sites, considered as having outstanding universal value. Croatia has another 16 sites on the tentative list and Klapa music is a strong contender to be included on the new Representative List of Intangible Cultural Heritage being drawn up in the next two years. Meanwhile, for “tangibles” Croatia has 5 cultural sites and one natural site. The old city of Dubrovnik, Split’s Diocletian Palace and Plitvice Lakes National Park were first on the list in 1979, followed by Trogir’s old town and the Euphrasian Basilica in Poreč in 1997, and finally Sibenik’s lovingly restored Cathedral of St James, in 2000. All but one are included in our specials section which leaves Poreč’s Euphrasian Basilica which is thought to be architecturally unique. The complex itself is one of the most preserved and complete examples of religious monuments of its kind and the site of Christianity as early as the 4th century. On the tentative list the only surprise is that there aren’t more. Below are brief details of two of the less obvious sites. The more obvious one’s include elements of Zadar, Ston and Korčula; the natural splendour of Kornati, the Velebit mountains and Telaščica; and inland Motovun and Varaždin. Originally a cave shelter for two monks who came to the south coast of Brač from inland Poljica in 1551, Hermitage Blaca developed and flourished as a monastery until the last monk, Niko Miličević an acclaimed astronomer, died in 1963. The telescope remains as one of the most powerful in Croatia and the 11,000 books in the library, many of them from the 18th century, are preserved in the museum. The monks also acquired large estates and the monastery was steadily expanded throughout its life and twice reconstructed: once after a fire in 1724, and again in the 19th century to include a 2 metre thick fortress wall encircling the complex. The monastery is considered to be a living time capsule recording the harsh reality of the difficult and varied eco system of the area as well as the history of the times and people it served. This site probably deserves a book in its own right, but its listing as the biggest fertile field of any Adriatic island is just the start of its remarkable attributes. Prior to the last ice age experts believe Hvar island was a mainland mountain and that the cold dry north east Bora wind deposited the sediments on this area that made it so fertile. The old dry stone walls, built to demarcate territory, are amongst the best preserved of their kind, and date back to around 384 BC when Greeks from the Aegean island of Paros colonized the island. This area also features round, dry stone walled, kažuns, used for shelter, and the Roman water cisterns used to preserve rainwater. The history of civilization in the area can be traced from the 5th century BC and the lack of development has preserved a depth of archaeology that tells a full and fascinating story.